Do you know Betsy of Betsy Transatlantically, Betsy? Just in case you don't, I'll give you a bit of back story... Betsy lives in Washington DC, but before that, she lived across the pond in London for a year, and she also studied in France for eight months (you might remember her from this guest post). 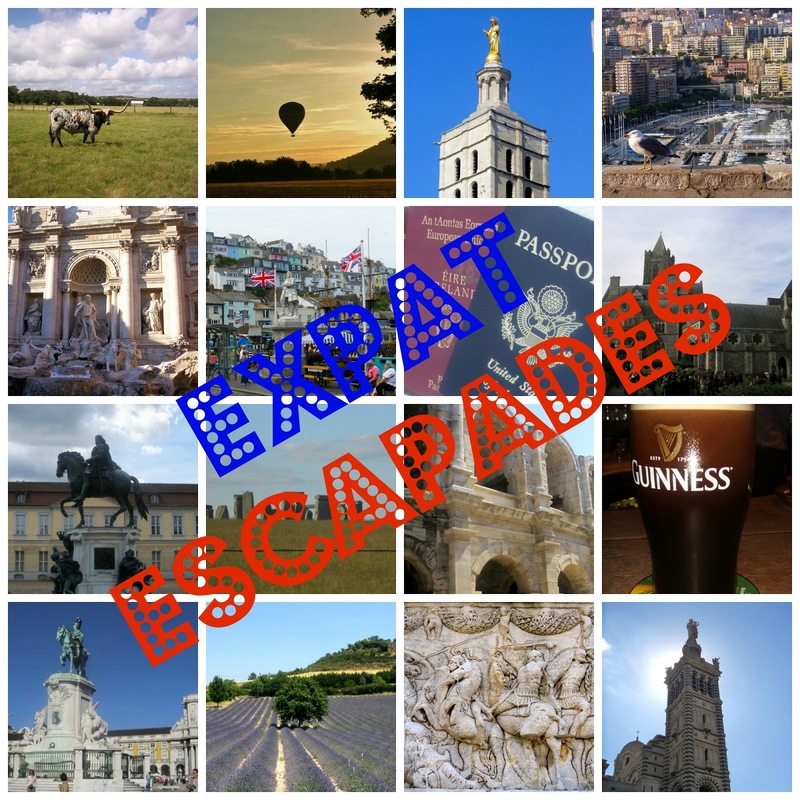 Anyway, Betsy wrote a post called, What "Expat" Means To Me, and I wanted to share it with you because it shows that not every expat is a wanderlust seeking travel junkie, like for instance, me. Don't get me wrong, I like traveling, but in small doses. I like mini-breaks in cities, where I can spend two or three days exploring the local culture, sampling the region's food and then paying over my budget for a luxury hotel because that's how I roll. You will never see me backpacking, hiking, staying in a hostel, trekking across a desert or doing anything else that takes me out of my comfort zone. It's not me. 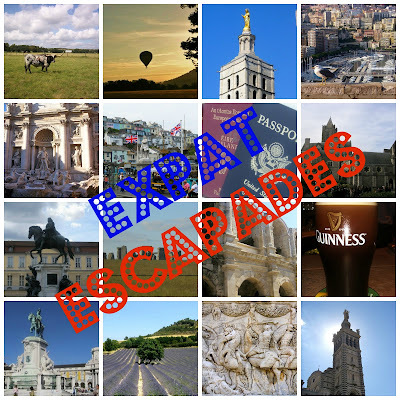 That's one of the reasons I love reading other expat blogs, because I get to live vicariously through their explorations from the comfort of my own living room (I'm a bit of a fuddy duddy). Like here's something that I think is really cool, but there's only like a 30% chance I'd ever do it; snorkeling in Borneo. But luckily for me, Amanda did it and took some amazing underwater shots so I don't have to. Thank you Amanda. And festivals... I've never been into that whole scene. Where other people see a spectacular event of music and fun, I see crowds, and mud (is it just me, or does it seem like it always rains at festivals) and camping (SARA LOUISE DOESN'T CAMP) but I so wish I could be one of those cool girls who goes to festivals, looks bohemian beautiful throughout the whole event, and has the best time ever. But that would never, ever happen because I have never, ever been that cool. But Jess is that cool, and she rocked an entire weekend at Creamfields looking picture perfect #jealous. You know who wouldn't let a little mud ruin his fun? Selena's husband. My friend Selena let her husband take over her blog for a day and he blogged about exploring over 100 countries! Can you imagine? This guy has been practically everywhere and he's not finished yet. But you know where I would go? Athens, I'd go to Athens and have a wander about like Jenna did. And I'd like to go back to Germany. I've been to Berlin once but I'd love to see other parts of the country like the cute gingerbread-esque buildings of Idstein like Casey. Idsein is so quaint that it seriously looks like Hansel & Gretal would hang out there. One thing I always make sure to do on my mini-breaks is to check out at least one museum. So if I found myself in Stockholm (which I'm sure I will one day because Stockholm is on Gregory's bucket list), I'd check out the Vasa Museum. Jay visited the museum that houses a warship that is almost four hundred years old and that had been sunk and resting underwater for three hundred years. It's incredible and Jay took some spectacular snaps of it. Jay's post got the history nerd in me all fired up, just like Amanda's did. Since I began this series, the comment I have received most often has been that people have enjoyed being introduced to other bloggers that they didn't know about before, so that said, I have to mention Rachel's post. Rachel (an American living in Spain) and Nicole (an American in South Africa) have created a new link up, Friends Around the World, which kicks off tomorrow for the first time. So if meeting around the world bloggers is your thing, pop on by Brachel Boulevard or Treasure Tromp tomorrow and link up! I'm shocked and honored that you think I looked picture perfect. Made my day. Thanks for including me in this awesome roundup Sara, I'm going to follow in your footsteps and start one too! Thanks for mentioning my post! Glad you enjoyed it! I love reading your expat escapades! Keep it for sure!! Thanks for sharing Sara! I'm honoured and I definitely think you'll enjoy Vasa when you make it to Stockholm! Yay!! Thank you so much Sara!! I love that I was including with Diane's fantastic post in regard to the same topic. And thank you for introducing me to new blogs! xo! Thanks for sharing, as usual! Love your series! And I will definitely check out the link up! Sounds fantastic! Traveling to South of France next week (Toulon area). Is there anything "portable" that you miss from the US? I could find a corner in my suitcase. Halloween candy for example? Furry pigs! HOW did I miss that when I was in Stratford?